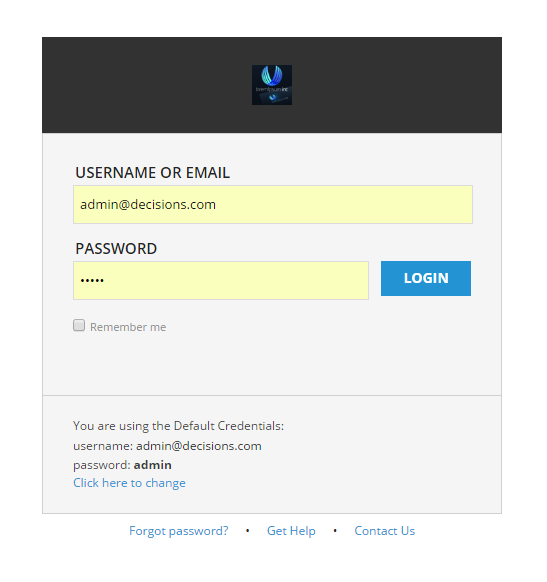 This document demonstrates how to customize Login	page in Decisions . In this example, a new logo has been selected under System > Settings > Portal Settings > Logo	. But the logo is small… We are going to customize the Login Page. First, we go toProgram Files > Decisions > Decisions Web Host. 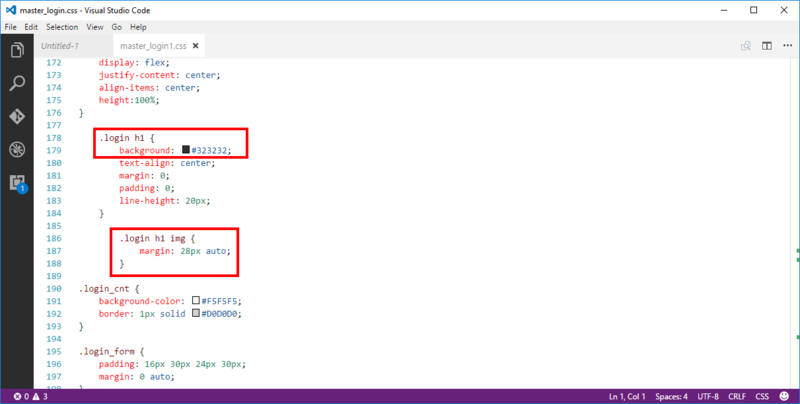 Files that we need to edit are Login.aspx	and css	Folder . We then navigate to the css	Folder . 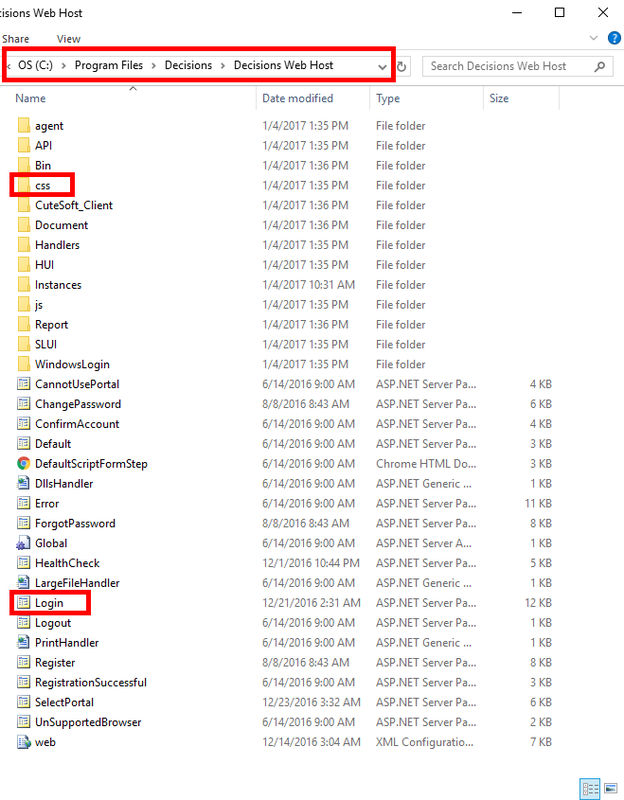 In css	Folder we navigate tologin_css	Folder . 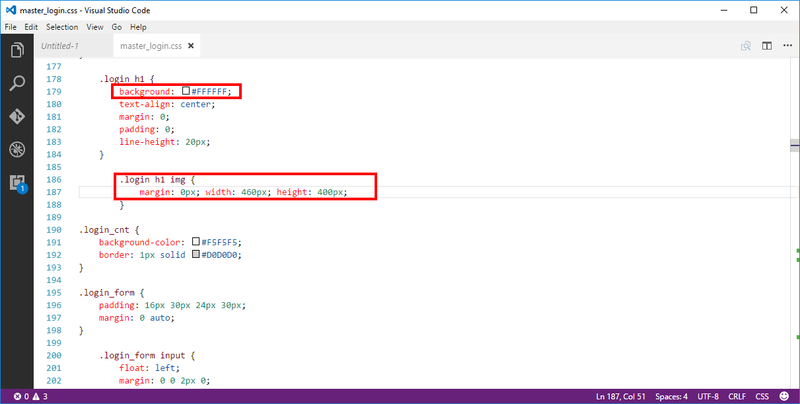 In .login h1	we change background	property to #FFFFFF	(white). In .login h1 img	we change margin	to 0px	and set width	and height	for our logo. Then, we save and close this file. 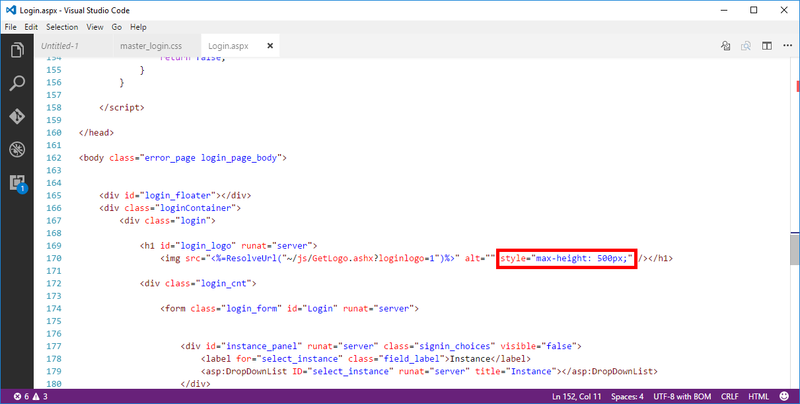 Next, open and edit Login.aspx	file. Locate login_logo	element and change max-height	value to be more than your logo	height. Save and close Login.aspx	file. Our Login	screen should now show the new logo size.